Uncover the secrets of northern Peru's hidden archeological, cultural and natural wonders, from the depths of the Amazon to her mystical mountain kingdoms. Northern Peru receives far fewer international visitors than the south of the country. However, those that decide to head north from Lima are rarely disappointed. Archaeological sites litter the landscape. Some, little more than sunbaked mud hills at first glance, have revealed treasure-laden tombs that are among the richest in the world. Others spread for several square miles and comprise dozens of pyramids or massive mud walls extensively decorated with carved reliefs; some sit atop cloud-covered mountain tops or covered by the all-consuming jungle. Archaeologists are certain that many more sites lie waiting to be uncovered. It is this ongoing sense of discovery that makes exploring Northern Peru exciting and fascinating. In 1987, archaeologists digging in Sipan, near Chiclayo, discovered the richest burial ever found in South America. Since then they have uncovered more tombs at the same site. Meanwhile, carbon dating undertaken in 2001 at the newly-excavated site of Caral, near Barranco, yielded an unexpected surprise - a city that dates back nearly five millennia, one thousand years older than any other South American city. And in 2006, archaeologists working at El Brujo, near Trujillo, found a 1,500-year-old burial of a tattooed woman, the first example of a major entombment of an upper-class female. You never know what may be discovered next! Further north, Piura is surrounded by villages that are known for their handicrafts and is gateway to both the most important centre of shamanism in Peru … the beaches of the north coast. These offer arguably the best places in Peru to surf and sun-worship, two activities that date back thousands of years. Heading inland, what Peru’s northernmost Andes lack in elevation, they more than make up for with dramatic history and an exciting environment of barely-penetrated cloud forests. Cajamarca, one of the gateways to the region, is famed for its Inca baths, where Atahualpa relaxed in 1532 during his final days of freedom before being captured, imprisoned, ransomed for a room full of gold and two rooms of silver, and finally executed by the Spanish conquistadors. The northern highlands are cleaved by the Marañon River, one of Peru’s major tributaries to the Amazon. The Marañon winds its way through the Department of Amazonas, but the capital of the department, Chachapoyas, stands at a distinctly non-Amazonian elevation of 2,335 m (7,661 ft). Traveling overland east of Cajamarca to Chachapoyas, via Celendin and Leymebamba, is a heady experience, descending on a one-track road into the Marañón valley and then climbing into a rugged, and little-explored region of cloud-forest covered highlands. The Chachapoya were another little-understood, pre-Inca culture that left a fascinating archaeological footprint of massive citadels and cities in the northern highlands. The best known is stupendous Kuelap, which rivals Machu Picchu for sheer size and scenery … but receives a fraction of the visitors, despite the recent construction of an access cable car. Beyond Kuelap, there are scores of other archaeological sites, some of which hold amazing tombs built impossibly high on sheer cliffs. Undoubtedly, many more Chachapoya sites wait to be rediscovered. Well off the beaten path, the northern highlands are begging to be explored by travellers! Descending from Andes to Amazon, there are a range of ecosystems that reflect the change in altitude and climate: Andean puna gives way to Elfin and Cloud Forest, and finally subtropical forest in the lower Andean foothills. Within this transitional zone, there are small, but important cities boasting plentiful flora and fauna. Moyobamba and Tarapoto lie in the Amazon Basin, near the end of the paved road which stretches from the PanAmerican Highway north of the coastal city of Chiclayo, across the Northern Andes. This is the most significant road route across northern Peru. The road ends in Yurimaguas on the Huallaga River, with frequent ship connections to Nauta and Iquitos, two days away in the Low Amazon. 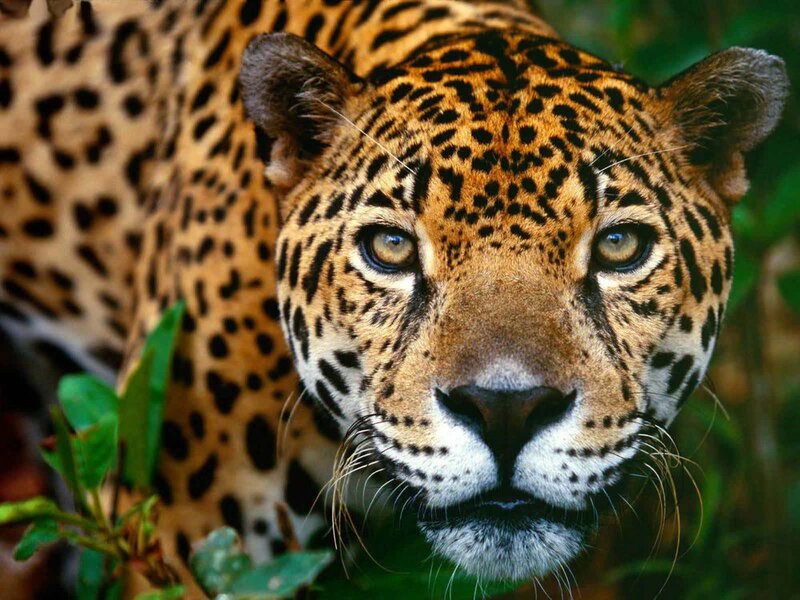 Endangered and/or unique animals found in the area include Jaguars, Puma, Andean Spectacled Bear, Harpy Eagles, Giant River Otters … and six-metre long Black Caimans.